Hanoi, April 11, 2019 – StoxPlus, Vietnam’s leading financial and business information service company, announced today its corporate name was changed to FiinGroup. The new brand reflects the company’s growth strategy, vision and signals expansion. This name change is part of the strategic rebranding initiative including its various product platforms named as FiinPro, FiinTrade, FiinConnex, FiinGate, FiinTek and so on that better expresses its family of products and services. The shareholder structure remains unchanged. FiinGroup’s strategic partners, NIKKEI Inc., and QUICK Corp., have a combined ownership of 35.1%, and the remaining 64.9% is owned by the management. Its new name and brand identity signify FiinGroup’s mission to “Enlighten the Market”. The company is committed to continuous investment in the core database and innovation with useful data analytics platforms to better support the capital market and trade flows in Vietnam and between Vietnam and the World. Founded in 2008, FiinGroup (previously StoxPlus) is Vietnam’s leading integrated service provider of financial data, business information, industry research and other premium services. The Company has built up various data and analytic platforms based on its comprehensive, highly accurate and first class financial database covering stocks, bonds, industries, IPOs, M&A and macroeconomics. The Company is currently serving thousands of local and foreign financial institutions including securities companies, fund management firms, banks, finance companies, insurance firms, and various local and global institutional investors. Moreover, FiinGroup applies advanced technologies in data-mining and research automation to analyze a hundred thousands of private companies with various services from standard factsheet, credit report to insightful research report. The products help customers for all data-driven decisions in accelerating revenue, managing risks, lowering cost and transforming their business. 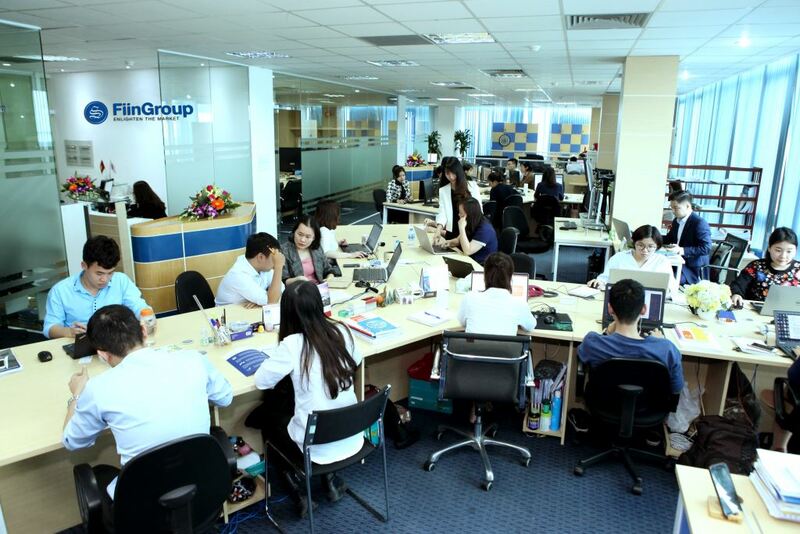 FiinGroup currently has close to 100 staffs including data analysts, business analysts, market researchers and IT engineers/product developers working at both its Head office in Hanoi and HCMC Branch. Vietnam Real Estate - Where is the market heading to? Are Banking Stocks Still Attractive? TRY FiinPro Platform FREE FOR 14 DAYS!